Sylvain Maréchal (15 August 1750 – 18 January 1803) was a French essayist, poet, philosopher and political theorist, whose views presaged utopian socialism and communism. His views on a future golden age are occasionally described as utopian anarchism. He was editor of the newspaper Révolutions de Paris. Born in Paris as the son of a wine merchant, he studied jurisprudence and became a lawyer in the capital. At the age of 20, he published Bergeries, a collection of idylls, successful enough to ensure his employment at the Collège Mazirin as an aide-librarian. Maréchal was an admirer of Jean-Jacques Rousseau, Voltaire, Claude Adrien Helvétius, and Denis Diderot, and associated with deist and atheist authors. He developed his own views of an agrarian socialism where all goods would be shared. In Fragments d'un poème moral sur Dieu ("Fragments of a Moral Poem on God"), he aimed to replace elements of practiced religion with a cult of Virtue and faith with Reason (see Cult of Reason). His critique of both religion and political absolutism (Livre échappé du déluge - "Book Salvaged from the Flood", a parody of the Bible) and his atheism caused him to lose his position at the College; Maréchal was forced to live off his literary output. In 1788, he was sentenced to four months in prison for publishing the Almanach des Honnêtes Gens ("Honest Man's Almanac"). The months were given names numbered one through twelve (for example, March is the first month, listed as "mars ou princeps", while February is "février ou duodécembre". The calendar also replaced the usual figures of a calendars of saints with famous characters (such as Blaise Pascal). Later editions of the Almanach used the French Republican Calendar. From this moment, on until his death, he published anonymously - to prevent further prosecutions. During Maréchal's lifetime, atheism was not openly accepted with wide arms, as it was consistently frowned upon by the highly religious people of France. Living in an traditionalist Christian country, he would often write about his thoughts on the church, often criticism of the doctrines and beliefs held by Christians of his time who looked down upon those who didn't believe in God. In his 1799 essay, Preliminary discourse, or Answer to the question: What is an atheist?, Sylvain Maréchal proclaimed that he had no more need of a god than god needed him. He outright rejected the idea of masters ruling his life, and that included the will of any god. For him, to believe in God is to submit to hierarchy. An enthusiastic supporter of the French Revolution, Maréchal also advocated the defense of the poor. He did not become involved in the conflict opposing Girondists and Jacobins, and became instead worried about the outcome of revolutionary events, especially after the Thermidorian Reaction and the establishment of the French Directory. 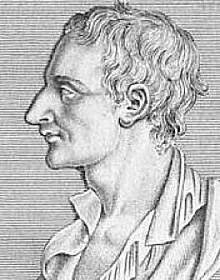 The encounter between him and François-Noël Babeuf (Gracchus Babeuf) and involvement in the latter's conspiracy was to find in Maréchal an early influence on utopian socialism, as evidenced by the manifesto he wrote in support of Babeuf's goals - Manifeste des Egaux (first issued in 1796). His later works include an 1801 Projet de loi portant défense d'apprendre à lire aux femmes ("Bill Preventing the Teaching of Reading Skills to Women"), which relates to subject matter of women's studies and egalitarianism, as well as a Dictionnaire des Athées anciens et modernes ("Dictionary of Ancient and Modern Atheists"). He died at Montrouge in 1803. Pour et contre la Bible (1801). The Woman Priest: A Translation of Sylvain Marechal's Novella, "La femme abbe" , translated by Sheila Delany, 2016, University of Alberta Press. ^ Almanach des honnêtes gens, pour l'année M.DCCCI. ^ Preliminary discourse, or Answer to the question: What is an atheist? ^ The Woman Priest: A Translation of Sylvain Marechal's Novella, La femme abbe.